Since July 1996, Camp Hope has supported the social and emotional development of HIV-positive youth, ages 7-16. Living with HIV is often a lonely and isolating experience, but especially for children. 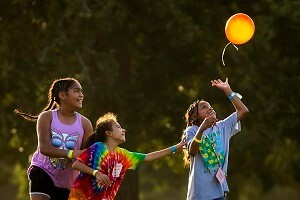 Camp Hope was created as a weeklong escape from the burdens of life with HIV. It is also a place where these youth learn skills critical to managing life with the virus. Your donation will help HIV-positive children from Texas, Arkansas, Oklahoma, and Louisiana experience a week filled with time to forget the doctor visits and the stigma they face the rest of the year. Please give generously!